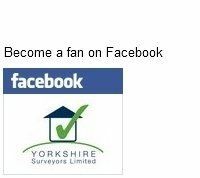 Yorkshire Surveyors Limited have Chartered Surveyors covering Huddersfield, Halifax, Holmfirth, Sowerby Bridge, Hebden Bridge, Brighouse, Ripponden, Penistone, Barnsley and Sheffield. There has been a period of steady house price growth since the low point in 2011. Economic uncertainties are now no doubt having an effect in some areas and some sectors of the market, but overall there has been a large demand for our professional survey reports across our core territory in the West Yorkshire towns of Huddersfield, Halifax and Brighouse. Most estate agents that we have dealt with over the last couple of years also report busy times. RICS Homebuyer Reports start at £345 + VAT. The fee includes all our disbursements and costs, including the RICS publication fee that we have to pay to produce these reports. Building Survey prices start at £610 + VAT for terraced houses and smaller semi detached houses. Telephone us for a quotation. Our Chartered Surveyors are ready to assist. If your circumstances require a tailored service to suit your needs, and are unsure as to how a Chartered Surveyor can help you, please do not hesitate to pick up the phone for a friendly no obligation discussion. We are listed in the RICS directory of registered firms and also find us on Yell.com and in the Yellow Pages. We comply with the above regulation by displaying the required details of our Professional Indemnity Insurance in each of our offices.